Why you should buy this: Though it uses less water than many others, it delivers clean and dry dishes. Who’s it for: Anyone looking for water savings, but doesn’t want to sacrifice the dishwasher’s performance. In addition to being affordable, the Bosch Ascenta SHX3AR75UC offers advanced leak protection, six different wash cycles, an adjustable middle rack, and a long silverware basket that securely holds flatware in place. The Bosch Ascent SHX3AR75UC is environmentally friendly, yet it’s still affordable, and it will deliver clean and dry dishes. 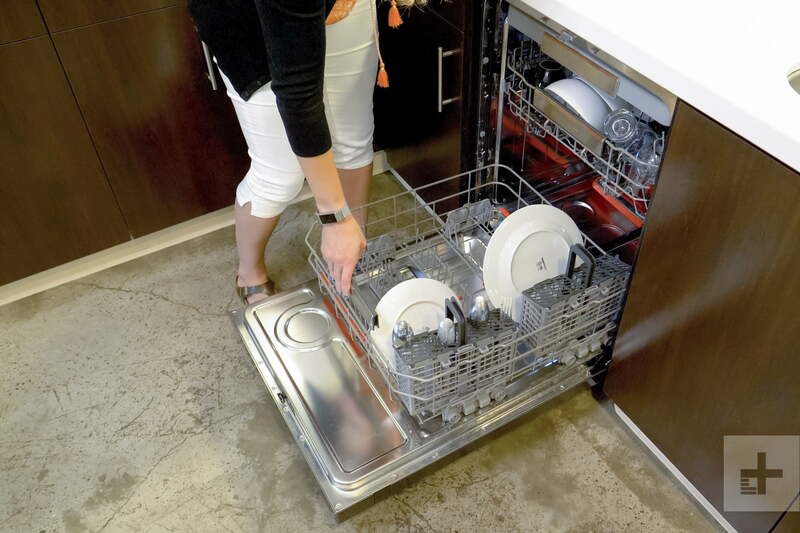 This dishwasher exceeds Energy Star requirements for water by 69 percent. There’s even a half-load option to reduce the cycle time and water consumption when you’re washing a smaller load of dishes. Plus, it’s one of the quietest dishwashers on the list at 50 decibels, which is quieter than most normal conversation. It has a sanitize option to reduce bacteria and help your dishes dry faster. And, although it doesn’t have Wi-Fi, it does have a PrecisionWash System with intelligent sensors and accurate spray arms that help eliminate the need for pre-rinsing. Why should you buy this: This dishwasher is attractive and features some superior cleaning technology. 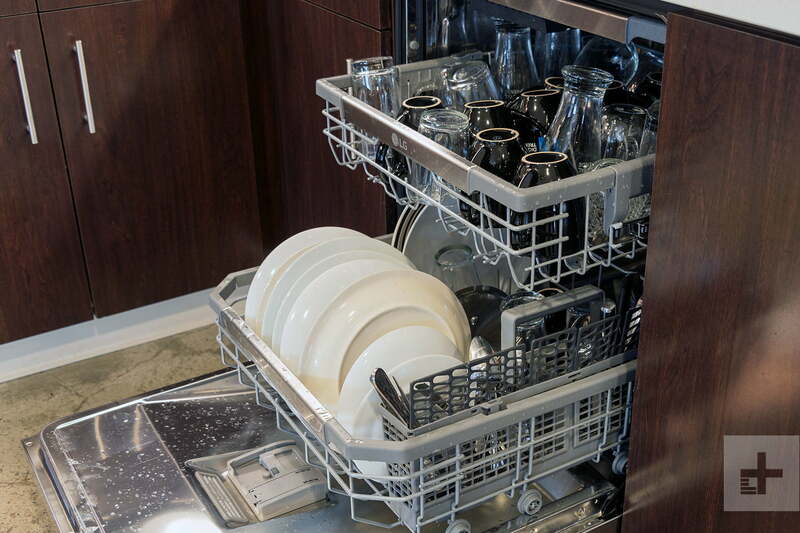 Who’s it for: Those looking for a great performing dishwasher that also looks great in the kitchen. While this dishwasher is a bit on the expensive side, it lands on this list for its combination of good looks and premium features. The Chef Collection dishwasher features a dedicated third rack on the top for utensils and silverware, along with an easily-adjustable middle rack that you can lift to fit large platters on the bottom. The Zone Booster setting allows you to focus the cleaning on a concentrated area on the bottom, which is perfect for those casserole dishes with extra grime. One neat feature we’ve never seen on a dishwasher before is that the door automatically pops open just slightly when the cycle finishes to allow the steam to escape and dry the dishes. The dishwasher runs extremely quiet at 61dB, but an indicator light that illuminates just below the outer handle tells you when the dishwasher is running. In addition to all the technology built in, this dishwasher is a beauty, with dark, smudge-proof stainless steel that will look great in any kitchen.